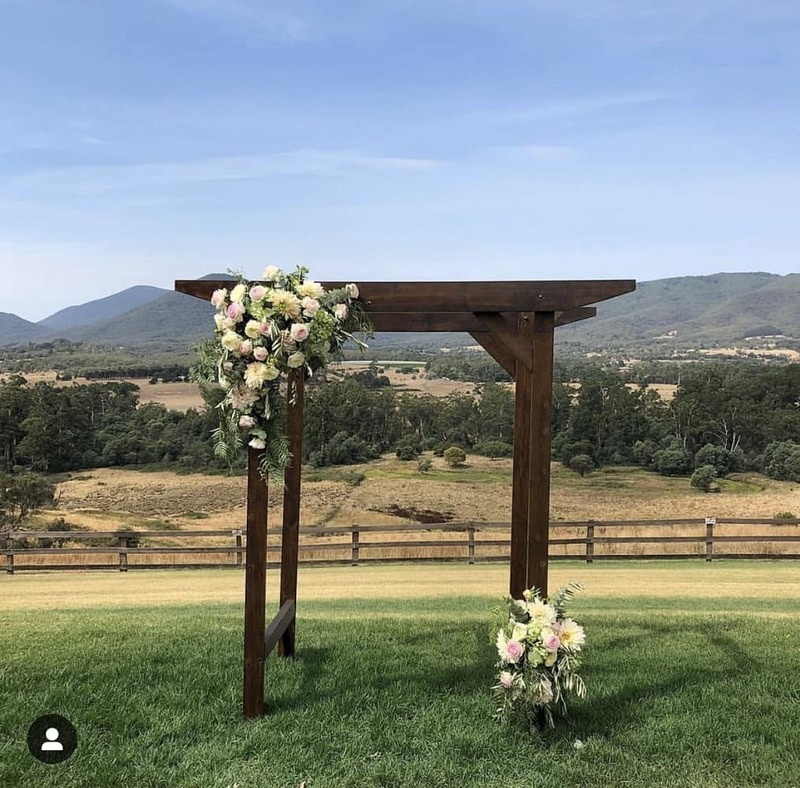 Alisha and Chris began their happily ever after with a magical Riverstone Estate wedding in the heart of the Yarra Valley. 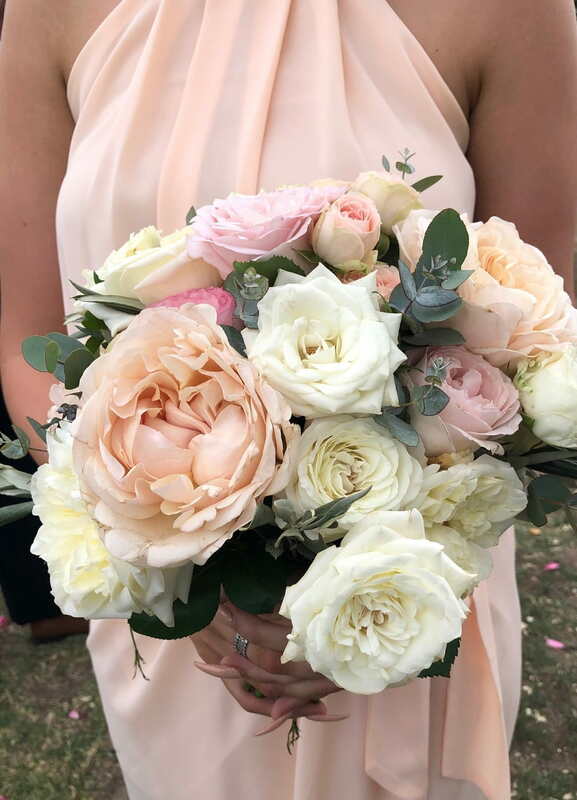 Natural timber decor and sweet blooms formed part of the backdrop, with a pastel pink theme. 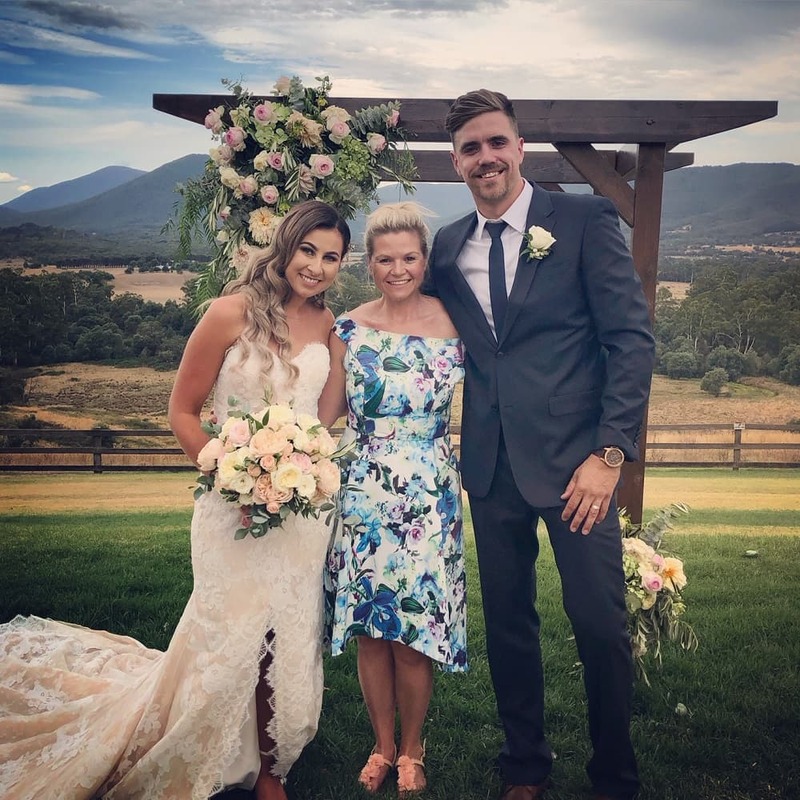 Alisha looked every bit the lovely bride in her gorgeous gown from Luv Bridal in Moonee Ponds, while the handsome groom stood proud in his suit from Trevor Dudleys. Teneille Laura was the master behind the bride’s hair. 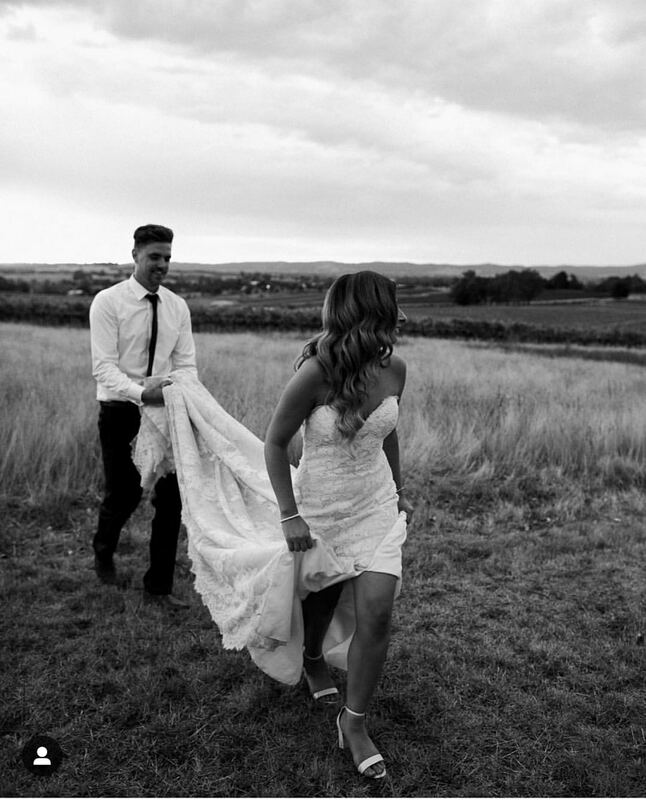 The Riverstone Estate wedding venue was the perfect location for the beautiful couple’s big day. 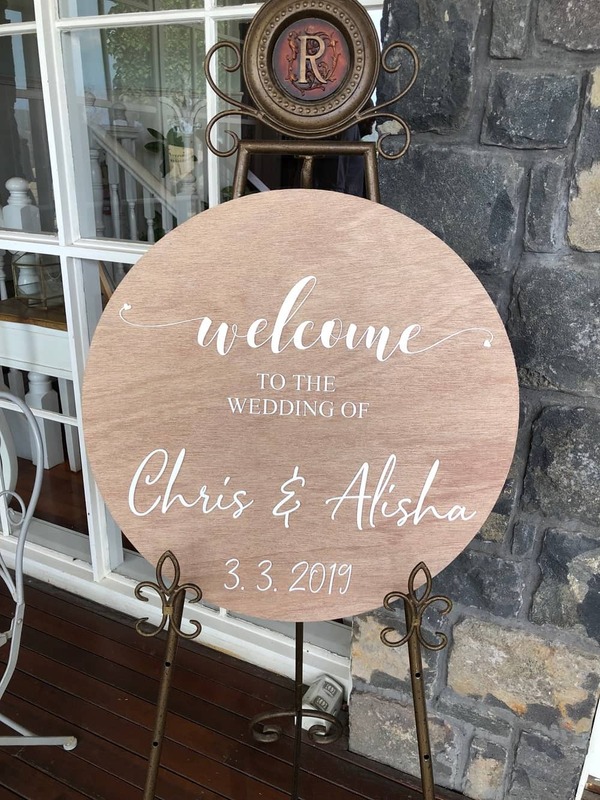 Looking to create a wedding with simple rustic charm, Alisha and Chris said “I Do” framed by some of the most stunning scenery in Victoria. Their Riverstone Estate wedding ceremony was natural and heartwarming, and their reception a true celebration of their love for each other. 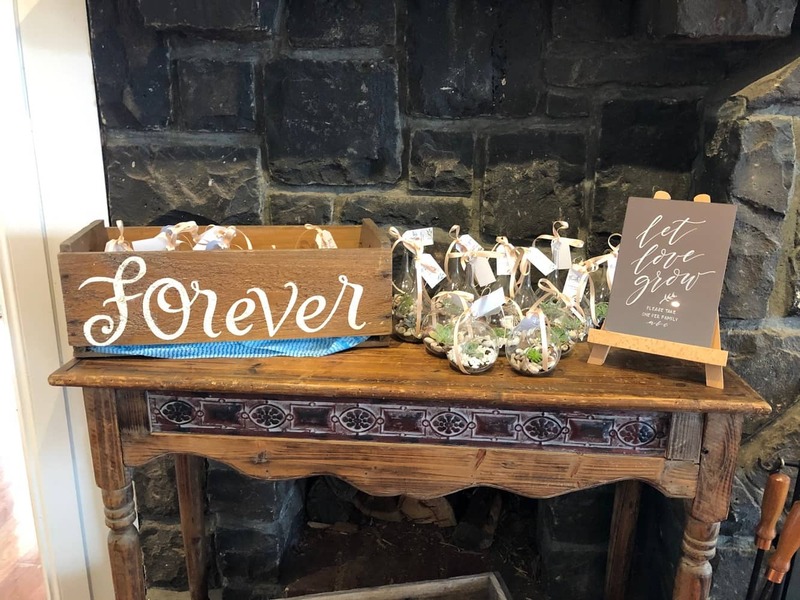 They were supported by a bridal party that was made up of family and friends, and everyone enjoyed the romantic ambiance created by the live sounds of Lark Music. It was a warm summer day for Alisha and Chris’ Riverstone Estate wedding. Their joy was captured by the amazing Sarah Godenzi Photography, who teamed up with These Wild Eyes Videography on the day. 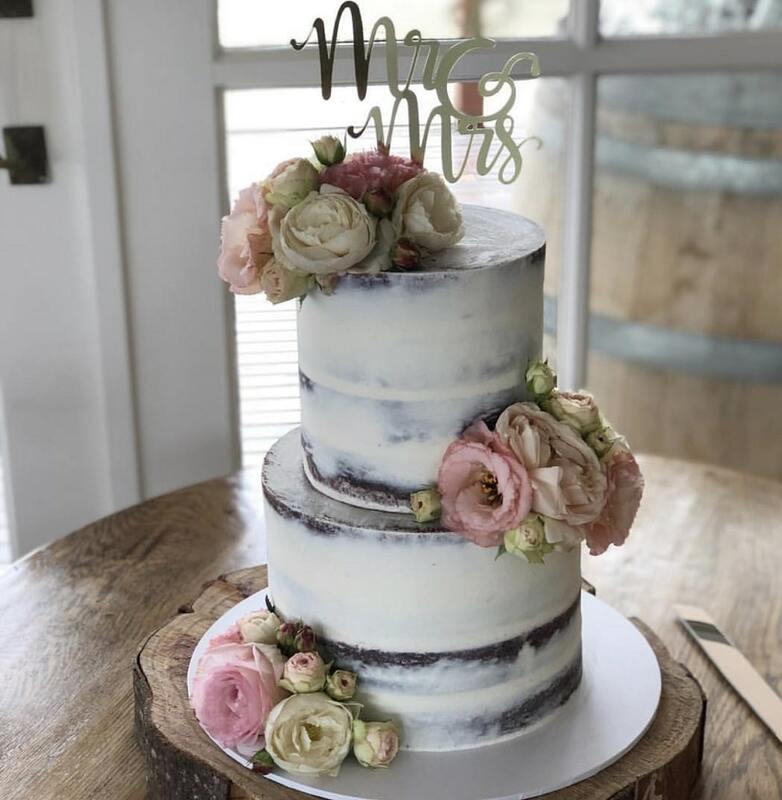 The floral arrangements by Flowers of Yarra Glen were in soft shades ranging from cream and apricot to pastel pink, and the rustic styled cake from Crème de la Cakes was as delicious as it looked. Chris and Alisha met in November 2013 at their best friend’s house. Chris’ first impressions of Alisha was she was very pretty, friendly & bubbly. Alisha’s first impression of Chris was he was very cute and always had a huge smile. Their first date was to the Luna drive-ins in Dandenong and they both had a great night but Alisha dropped Chris off without receiving a kiss goodnight!! The things that impressed them the most about each other was how comfortable they were around each other so quickly. It felt like they had been together forever. Immediately, they realised how much they had in common. It wasn’t too long into the ‘L’ word came into play; they both first said “I love you” only after 4 weeks of knowing one another. This was on a week away over New Years at Howqua with Chris’s family. 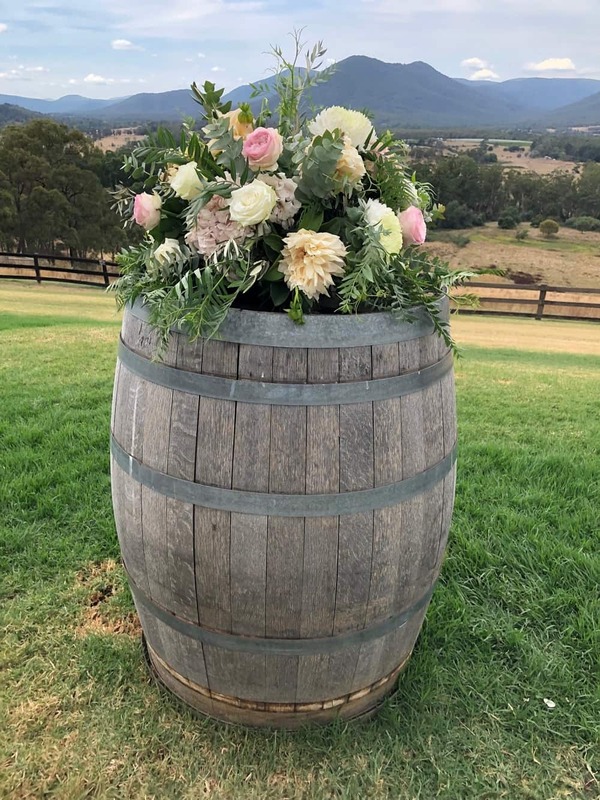 Their relationship developed into one of love and loyalty, and Chris proposed at their favourite place, Eildon. It was at the top of a beautiful look out over looking the entire lake. That afternoon Chris asked Alisha would she like to go to the lookout and watch the sunset. As they left the house boat, Chris still had to get the ring from his car, quickly but carefully, and put the ring box behind the driver’s seat. As they arrived it was a perfect clear night and the sunset was perfect! After taking many photos of the sky and trying to take a nice photo together, Chris suggested filming a video and they could screen shot the photos later on. Chris then set up the phone on the rock wall and began walking back to her, giving Alisha a cuddle from behind while they overlooked the lake. He released her from the hug and got down on one knee, asking Alisha “Will you marry me?” In full excitement, she said YES!!! What Chris loves most about Alisha is how she is well-organised, beautiful and always loves a good cuddle; whilst Alisha loves that Chris so helpful, funny and can always make her smile!! They both love camping, holidays, going to the movies and boating. The most romantic thing that Chris has done for Alisha was when he was working at Hamilton island for 9 weeks. He ended up coming home at the end of 8 weeks on a Saturday night to surprise her. He did so by placing a bouquet of flowers on the door step and knocking on the door, hiding out of sight and as she opened the door. Chris slowly walked out from around the corner to see her face light up, very surprised! Alisha has taught Chris that he can count on her for everything and she will always be there for him. Chris has taught Alisha that she should enjoy every moment – even the little, simple ones, because they always mean the most! Knowing that they have each other forever and ever, the things they look forward to in their future are seeing the start of their home being built, and starting a family of their own.